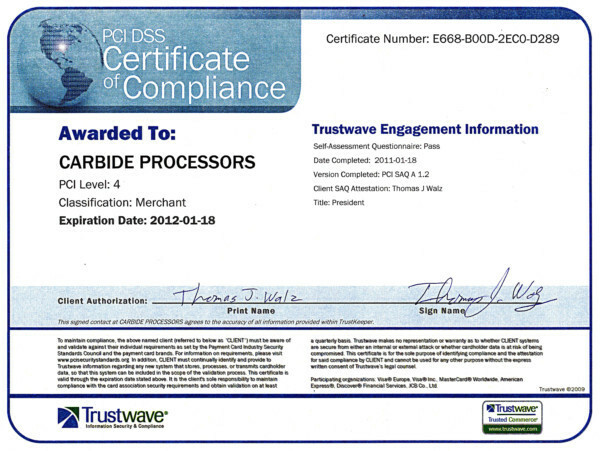 At Carbide Processors, our customer's security and happiness is our number one concern. Therefore, we are registered with Authorize.net and Verisign. We are also fully PCI compliant through Trustwave which means our website gets scanned for potential security concerns which prevents our customers information from being stolen. Additionally, we are registered wtih the Better Business Bureau and have received an A+ rating. Any information given to us, whether it is contact information or credit card information, is strictly for Carbide Processors' business only. We do not sell any of our customers information to third party services. 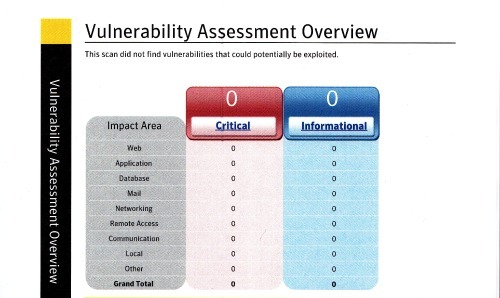 This is an automated email to notify you that the scheduled TrustKeeper vulnerability scan of CARBIDE PROCESSORS has completed and passed. 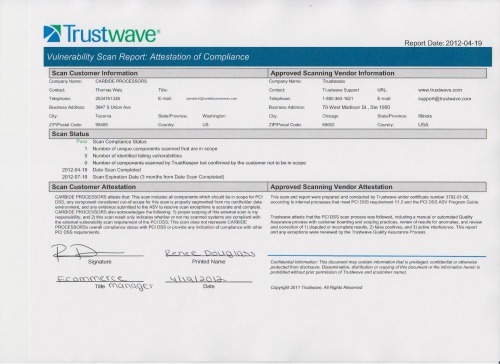 TrustKeeper is a certified remote assessment and compliance solution created by Trustwave and designed to help merchants meet the PCI DSS and achieve compliance with the associated programs of Visa®, MasterCard®, American Express®, Discover®, and other credit card associations. The TrustKeeper solution is an integrated easy-to-use tool that removes the challenge of navigating the complex PCI DSS requirements and provides a "one stop shop" for merchants to certify compliance.